The film is about Amarnath (Dilip Kumar), a noted criminal lawyer who is opposed to any moral transgression in public life. In love with a scholarly activist Anjoo (Madhubala), Amar's life is torn apart when his milkmaid Sonia (Nimmi), who too pines for Amar, enters his house on a stormy night while trying to escape an infatuated criminal Sankat (Jayant). 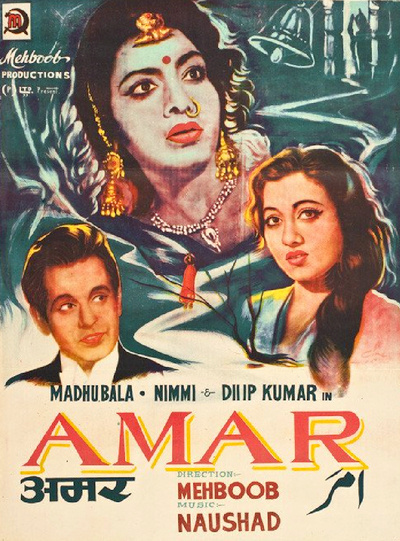 Sonia's blooming youth and fragility ignite lust in Amar and he inflicts himself upon her. Though raped by her idol, Sonia seals her mouth about the crime until an accident reveals her carrying a child.